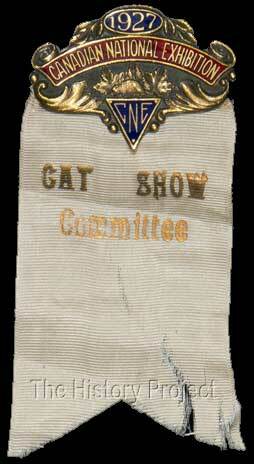 Description A painted enamel pin, attached to fabric ribbon that is stamped "Cat Show Committee"
Brief History Show committee members at the 1927 Canadian National Exhibition wore this pin to identfy them. Acquisition Purchased by Karen Lawrence and donated to The CFA Foundation, March 2003. Photos: Larry Johnson. Courtesy of The CFA Foundation, Inc. In Canada, the cat fancy developed more slowly than in the United States. 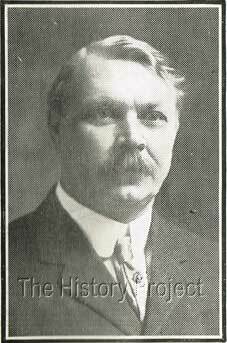 Records indicate that the Royal Canadian Cat Club (CFA) held the first organized show in Toronto in 1906. As in most of the world, cat shows were sparse during the war years, ie. 1939-1945. 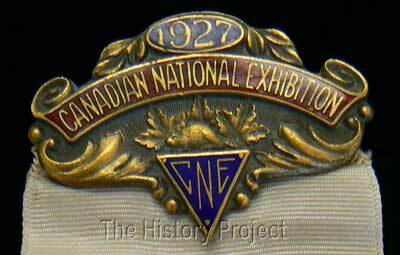 In 1912, the Toronto Industrial Exhibition was renamed the Canadian National Exhibition. 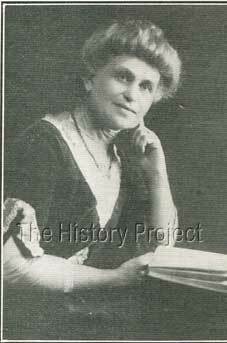 For years, cat shows held in conjunction with the exhibition were organized by the Canadian National Cat Club, affiliated with the American Cat Association(ACA(, and by the Royal Canadian Cat Club, a Cat Fanciers' Association (CFA) club. The Canadian National Cat Club disbanded in 1968. Management of the exhibition cat shows then passed to the Royal Canadian Cat Club.1 Over the years, the cat shows at the CNE have been managed by clubs affiliated with both ACA and CFA, and are now managed by a club affiliated with Canadian Cat Association(CCA). During 1927, the cat show was but one event at the exhibition, but the highlight of the CNE that year was the opening of the Princes' Gate on August 30th. HRH Prince Edward, Prince of Wales, and his brother Prince George were in attendance to officially open the new east entrance to the exhibition. 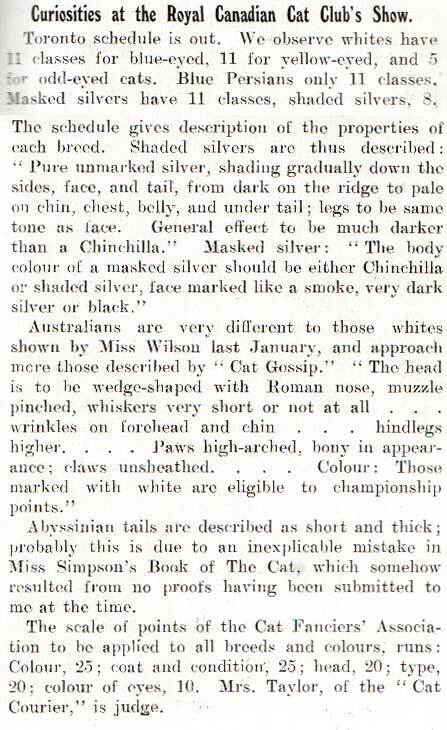 The November 23rd, 1927 edition of Cat Gossip provides the following look at classes at the Royal Canadian Cat Club's 1927 cat show, presumably held at the CNE as it had been in 1926. "Curiosities at the Royal Canadian Cat Club's Show"